Olivia Ortiz pulls off upset over Kacy Smith and Sarah Candiano. Carolos Miranda edges Aaron Rojas for the win. Estero sweeps team titles. 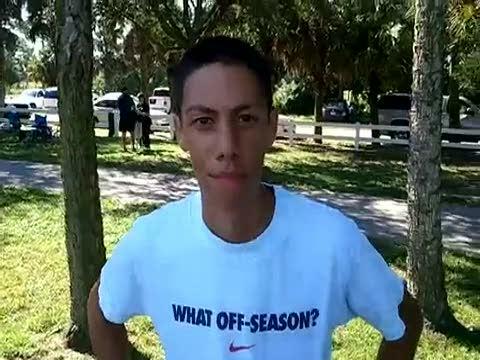 Last year's Ft. Myers Optimist Invitational saw Kacy Smith and Tyler Cardillo steal the show. Smith picked up where she left off in 2010 and has been posting great times to start the season, while Cardillo has since moved on to the University of Florida. Can Smith repeat against tough competition from Lakewood Ranch and Fort Myers? Who will step up and be crowned champion in the boys race? Robert Brown breaks down all the action.